The rich and diverse historical aspect of Delhi can never be ignored. A city whose stories date back centuries automatically becomes a repository of old objects and artefacts. Here are a few stores you can visit in order to bring back a few of these iconic yet forgotten ancient treasures. A quaint little shop tucked away in a basement in Paharganj, O.P. Typewriters is a paradise for all those who are looking for a gateway to the past. 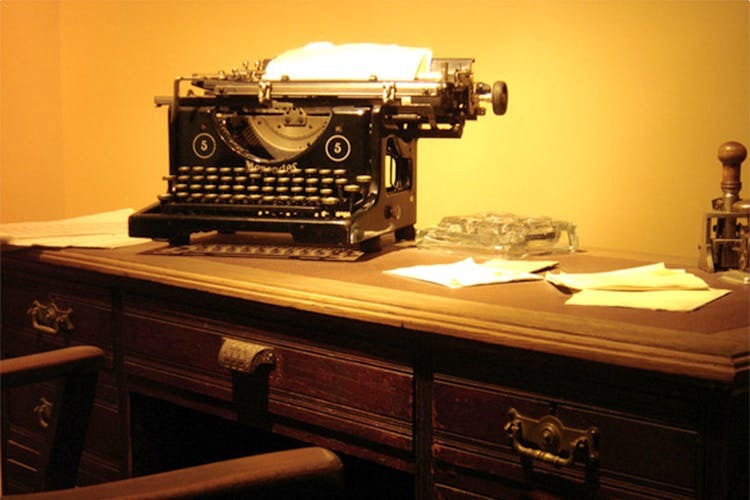 Head here to buy yourself a vintage machine to draw out the budding author in you. With every inch of their walls covered with all sorts of musical instruments, this store is the place to head to if you’re a bit of a music junkie. Starting from santoors to gramophones, Hare Krishna Musical Store has it all. Visit this shop to bring back a piece of some musical memorabilia. Indian music or Western titles, the New Gramophone House has a massive collection of vinyl records. There are shelves upon shelves lined with records from all kinds of labels and artists; you name it and it is there. And if you can’t find something you’d really like, just tell them – they’ll order it for you. This shop also sells and repairs old gramophones, making it the perfect destination to go down memory lane. One of the gems of Old Delhi, a Sunday book market is held on the street pavements of Daryaganj each Sunday. You can find any genre of books here, starting from old comics to autobiographies. They even sell books at a per kilogram price. If you are unable to find a rare book on your fancy online websites, be sure to check out Daryaganj. You never know what surprises these lanes hold for you. This is the place to be if you are a Bollywood fanatic. From vintage movie posters to advertisement flyers, they have a variety of ancient colourful pieces that could be used to spice up the décor in your house.